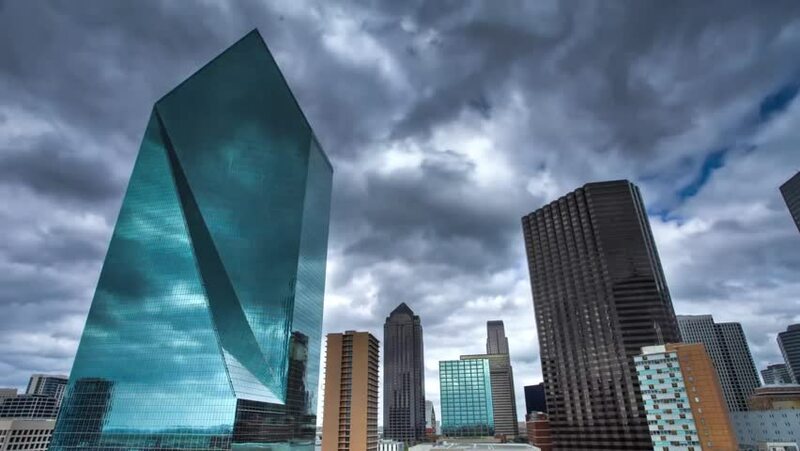 Dallas Floating Sky Over a Thick Gray Clouds. Clouds Are Reflected in the Glass Facade of a Large and Beautiful House. at One of the Houses Seen the Wind Shaken Flag of the United States.